Note: A new version of songbird just came out (0.7.0). However, the instruction below should still work. 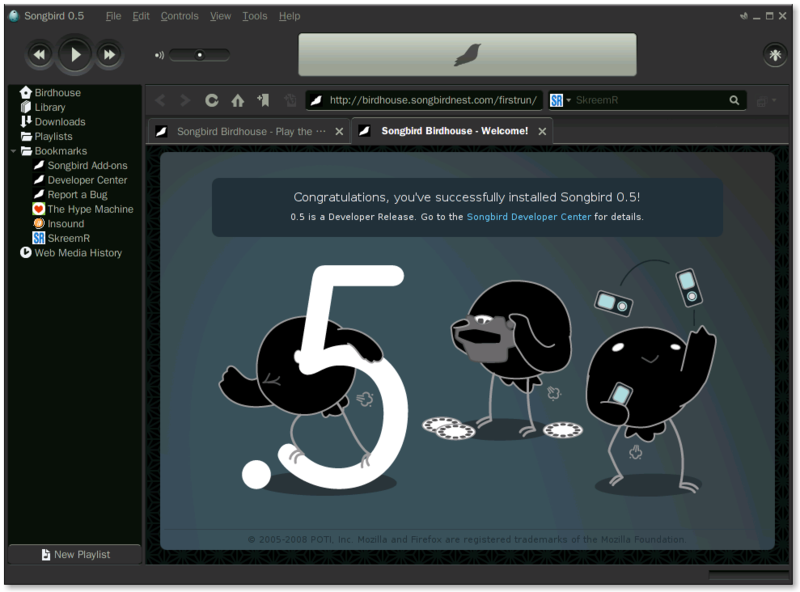 Songbird 0.5 is a new release of an innovative attempt to revolutionize the way we listen to music. In short, it upholds the belief that we deserve the freedom to listen to music in anyway – and screw DRM. 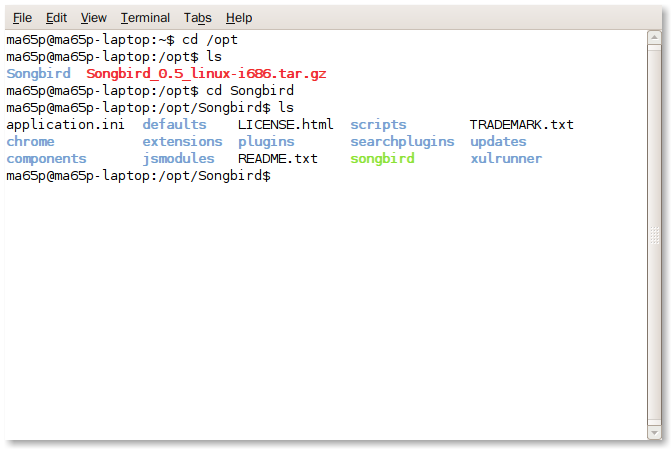 I installed Songbird 0.5 on my Ubuntu today, worked like a charm. With Firefox and Songbird and three other applications were running at the same time, only 300MB of RAM was used. Sweet!!!! Not to mention all the goodness that come with it. Highly recommended for everyone. Let’s get right onto it. I found a tutorial from ArsGeek Tutorial but it does not work for this version of Songbird, so I modified it a bit. We will install Songbird from the original package, and then create a Shortcut. Your download file to Desktop so it would be easier to work with. Open Terminal: Applications -> Accessories -> Terminal. Make sure you have the period (.) at the end. (~) is short for /home/*username*. 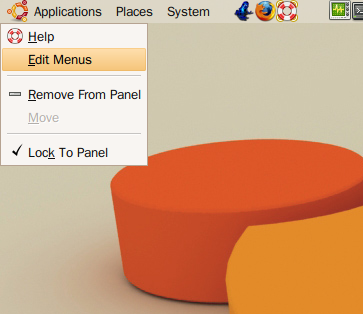 You can also use this shortcut in Nautilus- an implement of Explorer in Windows. Let’s extract the tarball file. Now we have a Songbird folder in the opt folder. Don’t believe me? check it. This is optional. This will give you a list of folders and files in the current directory. Below is an example. Give it some ownership, not sure why, but it would not hurt. 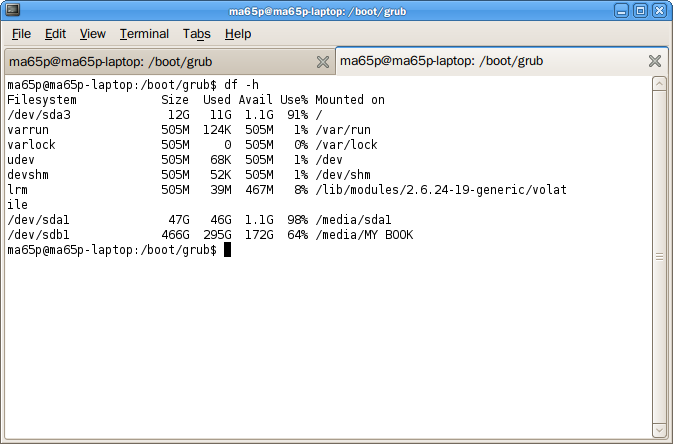 Now, when you check Songbird folder in Nautilus, there will be a lock next to it. Now, we need to enter Songbird folder, and initiate Songbird. Songbird should start now. If you get it to run, awesome. (If not, leave me a comment, I will try to figure out for you). The next step is to make a shortcut. Creating A Shortcut For Songbird. Right click on Applications, chose Edit Menus. A new window will pop up, select Sound & Video. Then select New Item. A new window pop up, fill it out as in the picture below. Pay close attention to the Command. Put in /opt/Songbird/songbird. 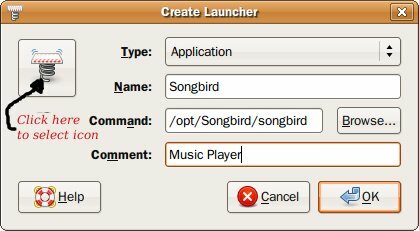 Select OK and OK again to create launcher. Done. Enjoy Songbird, it’s such a lovely player that I loved it the first sight. 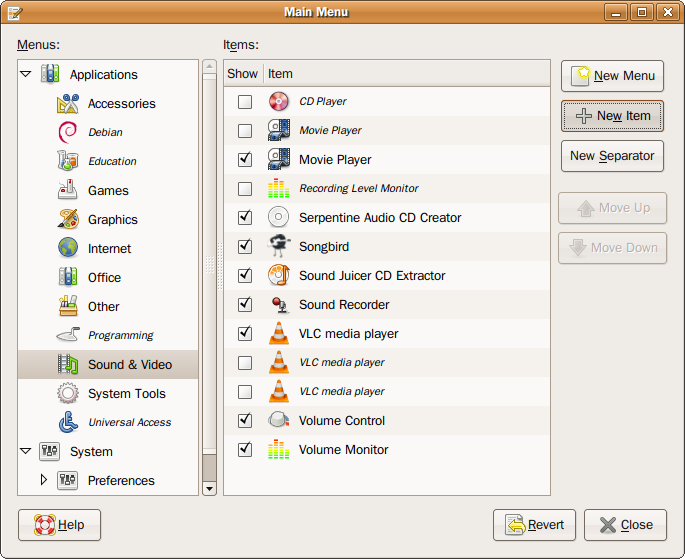 Oh, note that there are add-ons for Songbird as well, just like Firefox.